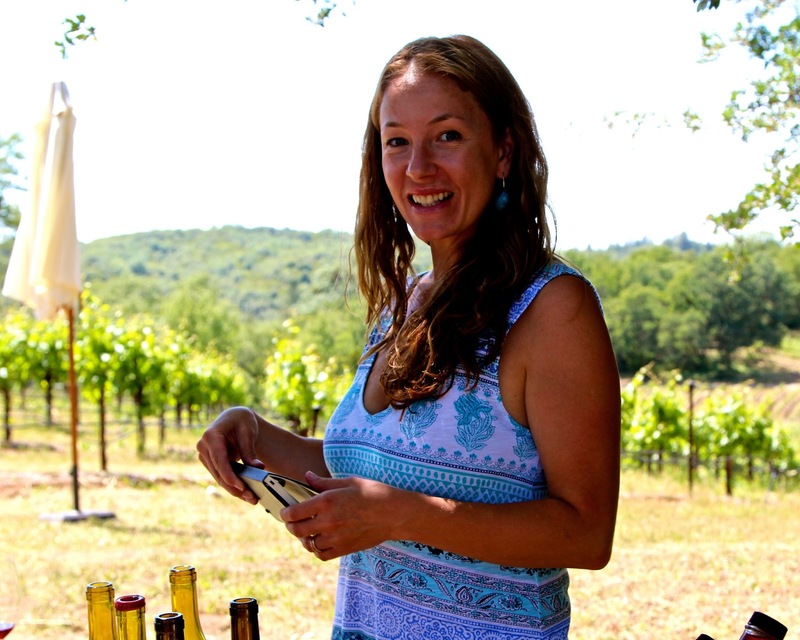 Earlier in the month (May 2015), I endeavored to take a measure of California grown Grenache in a tasting of the very best varietal bottling of said grape. The tasting was a long time coming – I first thought about doing it at least five years ago, after tasting a pair of pure Grenache bottlings produced by Harrison Clark Vineyards, grown on a spectacular chalky hilltop estate in Santa Barbara’s Ballard Canyon AVA. These sensuous, scintillating, ultra-spiced red wines were like a proverbial epiphany to me. Never knew a California Grenache can taste so "complete." I don’t know how much of this has been genuine, or just attributable to a coolness factor. Certainly, we all occasionally do and say things just to be cool or different (or at least to make ourselves think we’re different). But the point is: I’m not the only one who’s been harboring a growing fondness for Grenache. Not, mind you, the usual Grenache based blends with Syrah, Mourvèdre, Carignan, or other grapes deliberately used to beef up Grenache in some way, shape or form; based on the seemingly obvious assumption that Grenache makes too simple or feeble a red wine to stand on its own. 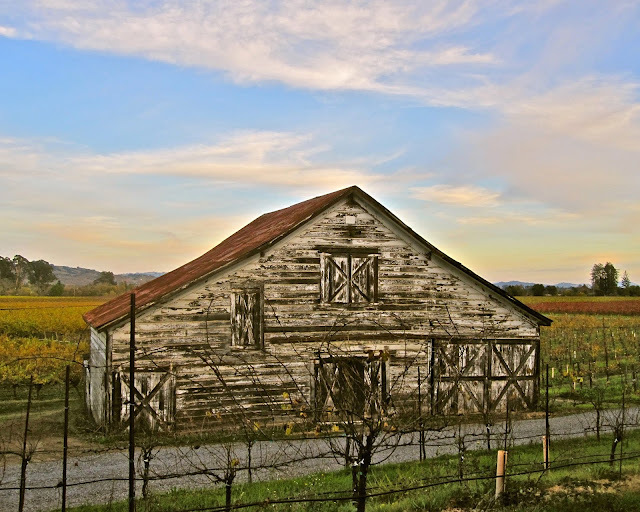 Bonny Doon Vineyard, for instance, has been on a tremendous winning streak with recent vintages of its Grenache driven Clos de Gilroy – buoyant, bosomy, irrepressibly lush and delicious red wines. Clos de Gilroy, however, is rarely more than 65% or 75% Grenache. Grenache, as Randall Grahm contends, is “really the star” in his blends; but I still feel like you’re not really getting the taste of the grape in pure, unadulterated form. What you’re getting is something of an “improved” Grenache – like the wonderfully improved versions of Barry Bonds (I was a big fan, and still am) in his latter years. To appreciate Grenache, I think you need to accept the fact that, ultimately, the grape produces a lighter style of red wine than even the most moderated “GSM.” It’s never going to soar as high as the finest Syrahs, and it’s never going to have the soulful, sonorous meatiness of Mourvèdre. So what? I submit that the recent surge in interest in 100% pure Grenache as a varietal red is, more than anything, a sign that a growing segment of the wine market is finally willing to perceive subtlety as a quality, as much or even more so than sheer weight or intensity. A wine need no longer be “big” or “powerful” to be impressive. It’s a mental thing, as much a shift in taste. It entails dishing out "points" for expressions of less, not more. Pure styles of red Grenache definitely fall within the softer, gentler, more floral spectrum of red wine styles; more often than not with its own modest complexity of red berryish fruit (often suggesting cherry, strawberry, raspberry or pomegranate), tinged with spice (black pepper or brown kitchen spices). But if you expect power in the nose, or phenolic muscle in the body, you will usually be disappointed. Bottom line – the more you appreciate delicacy in red wine, the more you appreciate Grenache! 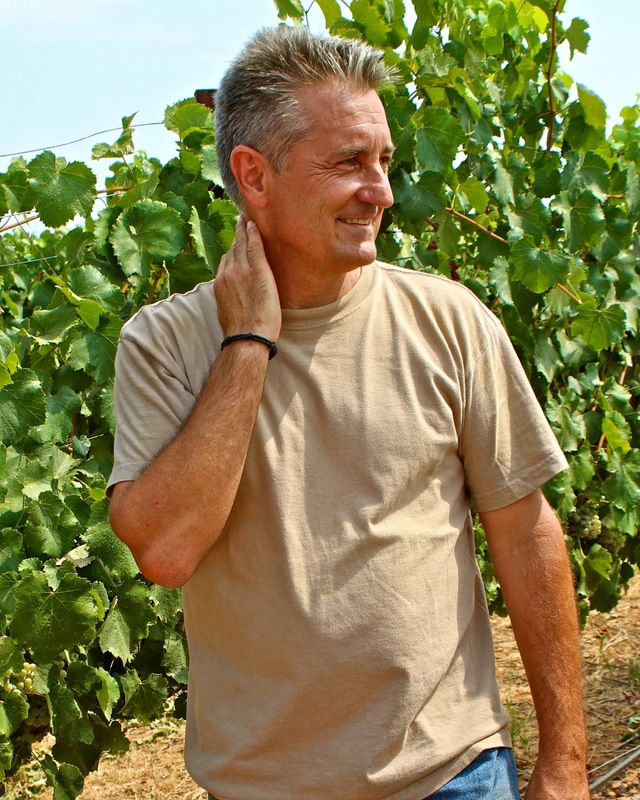 McCay Cellars’ Michael McCay has been fond of describing Grenache as “Lodi’s Pinot Noir.” McCay is alluding to the Lodi AVA’s Mediterranean climate – which is the natural environment for Grenache (but not so much for Pinot Noir, which reaches heights in colder climate regions) – as well as to the finely perfumed, mildly spiced, Pinot Noir-like qualities of the varietal. But red Grenache, of course, is not Pinot Noir; nor is it Carignan, Sangiovese, or any other variety with propensity towards red fruit fragrances and softer tannin structures. It comes in its own package of attractive attributes; fairly defined only on its own terms. Last year the San Francisco Chronicle headlined a story on Grenache’s recent “star turn,” describing the varietal as “the perfect Mediterranean grape” while proclaiming, “Now is the moment to embrace one of California wine's great successes.” 20 years ago, there was no way anyone would use words like “star” or “great” in the same sentence as Grenache. There seems to be, borrowing Star Wars lingo, a “strong disturbance in the Force” – or rather, among those with say in the wine world. For our blind tasting, I gathered 15 examples by producers who I believe are producing the finest pure styles of California Grenache today. Oh, I may have left out another two, three, or even four, five other producers of merit. But you have to start somewhere, and I choose to start from my own tasting experiences (never believing what I’m told or what’s being written). Since it was easier to do this tasting in my own home in Lodi, I invited three of Lodi’s most respected vintners to help evaluate the wines along with me: Markus Bokisch of Bokisch Vineyards, Chad Joseph of Harney Lane Winery and Oak FarmVineyards (plus three more Lodi based wineries), and Michael McCay of McCay Cellars. Among the line-up, as it were, were the 2012 Bokisch Terra Alta Vineyard Clements Hills-Lodi Garnacha (Bokisch grows a clonal variant of the Grenache grape from Rioja Baja in Spain) and the 2012 McCay Cellars Lodi Grenache. The various other Grenaches represented growths in Sonoma Valley, Inland Mendocino, Paso Robles, Santa Clara, Santa Barbara, Amador County and El Dorado. Lest you think otherwise, none of our Lodi winemakers ended up recognizing their own wines in this blind tasting – not an uncommon occurrence in my experience, tasting with even the sharpest winemakers. This means our Lodi guys were not predisposed towards Lodi grown wines while proffering their opinions and, in the end, picking out their favorite wines in the tasting. Not only were none of us able identify the Lodi Grenaches among the others, following our discussion and voting of our favorite wines, we were actually shocked to discover that the Grenache everyone lauded as being the most intense in terms of spiciness, earthiness and perfume was, in fact, the 2012 McCay Cellars Grenache grown in Lodi. Of course, we did not all agree that more was better, but c’est la vie. Between the four of us, we came up with a total of 7 wines singled out as our three “favorites.” We didn't "rate" the wines - all of them were damned good - but we jotted down our personal preferences, mostly for the sake of discussion. 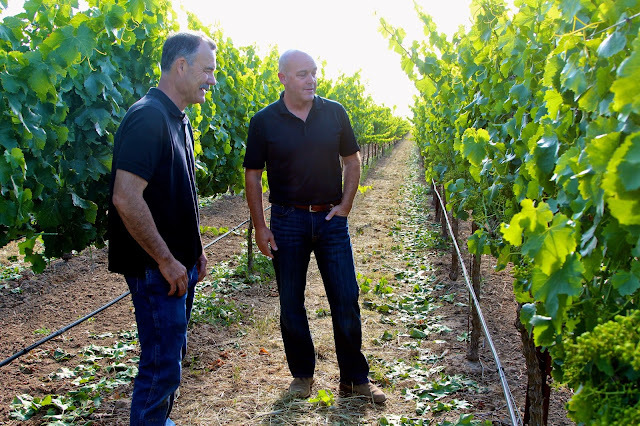 Full disclosure: I picked the Lodi grown McCay and Bokisch Grenaches #1 and #2 – under the mistaken notion that these wines were more likely from Santa Barbara. The wines I thought were from Lodi actually ended up being from Testa Ranch in Mendocino and the Santa Barbara Highlands Vineyard. If I’ve grown a “Lodi palate,” evidently it’s been by accident. In any case, my #3 choice was Epoch Wines' Sensibility, grown in the steep, white, calcareous shale slopes (+1,200-ft. elevation) of Paso Robles’ newly recognized Paso Robles Willow Creek District AVA. Aside from the Baiocchi (Fair Play/El Dorado) and Neyers (Sonoma Valley), the Epoch was just about the most aggressive, full and densely structured Grenache in the bunch, exuding a pervasive, ringing peppery spice. Mr. Joseph, on the other hand, found the Epoch to be a shade “clunky.” A well-made wine is like a mountain – everyone looks at its features from slightly different angles. Mr. Joseph, as it turned out, really loved the two Ballard Canyon/Santa Barbara bottlings from Harrison Clarke Vineyards, picking them as his #1 and #2. All I can say is, he has very good taste. His #3 choice, for the record, was the Lodi grown McCay. Unbeknownst to each other, Mr. McCay and Mr. Bokisch ended up picking the exact same wines as their 1, 2, and 3: first, the full bodied (by Grenache standards), fleshy, richly layered Baiocchi from El Dorado’s Fair Play AVA; followed by the more feminine, flowery, silky A Tribute to Grace from Santa Barbara Highlands Vineyard, and the 2011 Harrison Clarke (the slightly leaner, yet somewhat brasher, of the two vintages of Harrison Clarke in the tasting). 2013 A Tribute to Grace, Santa Barbara Highlands Vineyard Grenache (about $50) – From a remote, high elevation (3,500-ft.) vineyard located in an even warmer site than anywhere in Lodi; furnishing more than enough proof that perfectly refined, feminine, silky yet zesty, upbeat Grenache can be grown in a place that is the opposite of “cold climate” (and is also why, when the French and Spanish talk about Grenache, they gleefully proclaim the merits of “hot climate” viticulture). McCay described the finely wrought elegance of this bottling as “Sinatra-like,” and Mr. Bokisch loved the way its low-key cedarbox-spice/oak melded with its fragrant raspberry/cherryish fruit. 2012 Baiocchi Wines, Sharon’s Vineyard Fair Play (El Dorado) Grenache ($39) – Focused strawberry/plummy aroma backed by a faint note of minerality, mingling with a scrubby spice; firm, fairly full bodied style (relative to the rest of the Grenaches, which were by and large moderate in weight), with attractively round, fleshy, balanced qualities to the mineral-tinged fruit intensity. 2012 Bokisch Vineyards, Terra Alta Vineyard Clements Hills-Lodi Garnacha ($23) – This planting – grown on the rocky, clay loam soils of Lodi’s Clements Hills AVA – comes across as notably svelte, refined, yet zesty. The varietal qualities are properly soft and strawberryish – described as “bright” and “lifted” by Chad Joseph – augmented by a whiffs of leafy-greenery which added (for me) a nice complexity; the medium-weight, fruit-focused sensations coming across as gentle yet exuberant, stretching gracefully across the palate. 2012 Epoch Estate Wines, Paso Robles Sensibility (about $50) – Although in the past this winery has blended small proportions of Syrah in their Sensibility bottlings, their 2012 is 100% Grenache; evoking ultra-intense, almost heady strawberry/raspberry fruit with a cracked peppercorn spiciness, leaping from the glass; with a notably thick, full, bold yet typically soft (for the varietal), silken textured feel on the palate. 2010 Harrison Clarke Vineyards, Ballard Canyon-Santa Ynez Valley (Santa Barbara) Grenache ($32) – This estate planting – on a dusty-white, calcareous limestone-replete hilltop in Santa Barbara’s Ballard Canyon AVA (a sub-appellation of Santa Ynez Valley) – remains one of my all-time favorite sources of Grenache. The wines are unfailingly spicy and mobilized by zesty, fresh fruit acidity (high pH soils being more favorable to lower pH wines). In this bottling, a fragrant, flowery red berry perfume is infused with an aromatic minty/sweet herb spiciness; tied together on the palate with still-youthful tannin, filling out a firm, medium sized body. 2011 Harrison Clarke Vineyards, Ballard Canyon-Santa Ynez Valley (Santa Barbara) Grenache ($32) – This vintage produced a slightly leaner prickly, layered, silken Grenache; with a brazen, generous fruit dimension verging on blackcurrant-like berryishness, tinged with fresh Bing cherry and mildly sweet oak flourishes; finishing fresh, sleek, lissome, lively. 2012 McCay Cellars, Lodi Grenache ($28) – From trellised vines in Phil Abba’s meticulously farmed Abba Vineyard, located on the east side of Lodi’s Mokelumne River AVA. Notably the most pungent, perfumed, sweet black peppercorn spiced, veering on peppermint, Grenache in this tasting, with Old Worldish whiffs of organic loaminess (also the earthiest wine in this tasting). The feel is soft, round, fairly fleshy, with mouth-watering zip. Mr. Bokisch described its nose as “Santa Rosa plum and strawberry,” while Mr. Joseph singled out its “mineral texture” and “rich strawberry jam” qualities. I have done tastings, even entire judgings, where none of entries are “second-rate” – every wine a winner in any given wine aficonado's book. This was one of those tastings, in spades. We truly felt that the quality of each of the following wines was first-rate – indicative of the high standard of red varietal Grenache reached in California today. 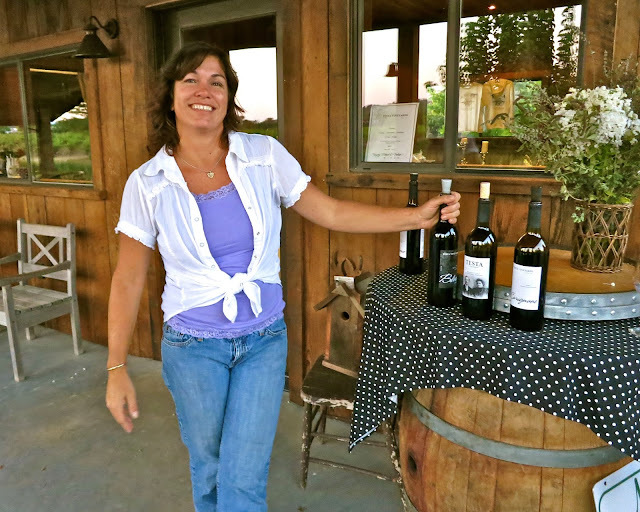 2013 A Tribute to Grace, Shake Ridge Ranch Amador County Grenache (about $50) – With the huge respect we all have for grower Ann Kraemer’s amazing work at Shake Ridge Ranch, the combination with A Tribute to Grace’s Angela Osborne’s customary minimalist winemaking regime – strictly native yeast, partial (50% to 70%) foot treading of whole clusters, neutral wood, et al. – seems like a hand-in-glove fit. In this bottling, Osborne achieves an epitome of the varietal’s gentle, fragrant, medium bodied charms; the strawberry/cherry fruit spruced up by a cocoa-ish, baking spice complexity; some youthful tannins tightening the finish, which still projects a fine, almost ethereal texturing. 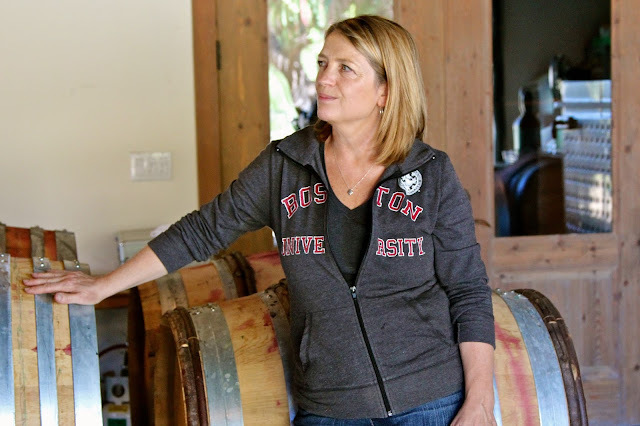 2013 A Tribute to Grace, Besson Vineyard Santa Clara Grenache (about $50) – Ms. Osborne informs us that this is sourced from ancient vines, planted in 1910. In comparison to her other two cuvées submitted in the tasting, this prettily scented wine seemed to register a slightly lower key expression of the cherry/strawberry varietal perfume, while remaining true to the pliant, feminine personality of the varietal; the nose exuding a flowery note, transitioning into a soft, almost airy, yet appealingly bright, snappy McIntosh apple-like crackle and pop on the palate. 2013 Beckmen Vineyards, Purisima Mountain Vineyard-Block Eight Ballard Canyon-Santa Ynez Valley (Santa Barbara) Grenache ($52) – Few vignerons lavish as much attention on Grenache as Steve Beckmen, and it shows in this bottling from a Biodynamic® farmed block of own-rooted, head trained vines, planted on a sparse calcareous slope. Vividly rich and compact cherry/strawberryish varietal aroma touched up by a mild herbiness; fairly full, soft and fleshy, but seemingly held back a little by a young, linear, tight tannin component. 2012 Big Basin Vineyards, Coastview Vineyard Monterey County Grenache ($44) – Coastview is as the name implies – a 2,200-ft. elevation planting located in the Gabilan Mountains, overlooking Monterey Bay and Salinas Valley. This was also the only Grenache in our tasting blended with a small dose of Syrah (5%). Nonetheless, the impression is very much, and thrillingly, “Grenache” – juicy, bouncy, strawberry fruit qualities in the nose and mouth, zipped up by notably bright acidity, a mild tug of tannin and just a smidgen of leafy green herbiness. 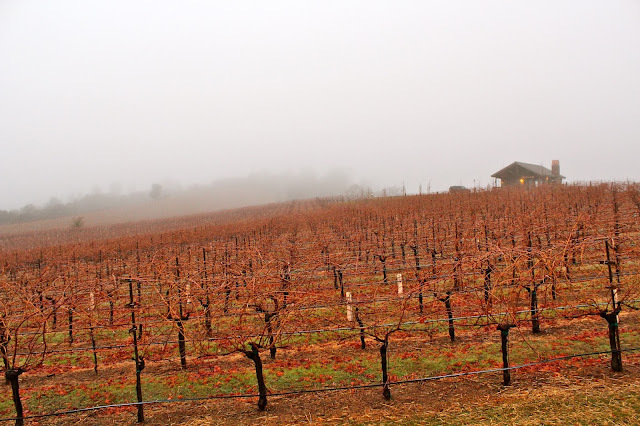 2014 Neyers Vineyards, Rossi Ranch Sonoma Valley Grenache ($35) – This was the only barrel sample included in this tasting (owner Bruce Neyers explaining that a bottle of their sold-out 2013 bottling was simply unavailable). But I was determined to have some kind representation from Neyers; whose formidably talented winemaker, Tadeo Borchardt, has had phenomenal success with fruit from the Biodynamic® farmed Rossi Ranch, tucked away on hillsides not far from Jack London State Historic Park in Sonoma Valley. This came across as the Grenache with the most intense expression of black-oriented fruit (plum, blackberry); and also as the one wine that could most accurately be described as “opulent,” or voluminous – zesty yet round, fleshy, layered sensations; tightly wound and compact with unresolved tannin, while finishing with a surprisingly sleek sense of grace and texturing. 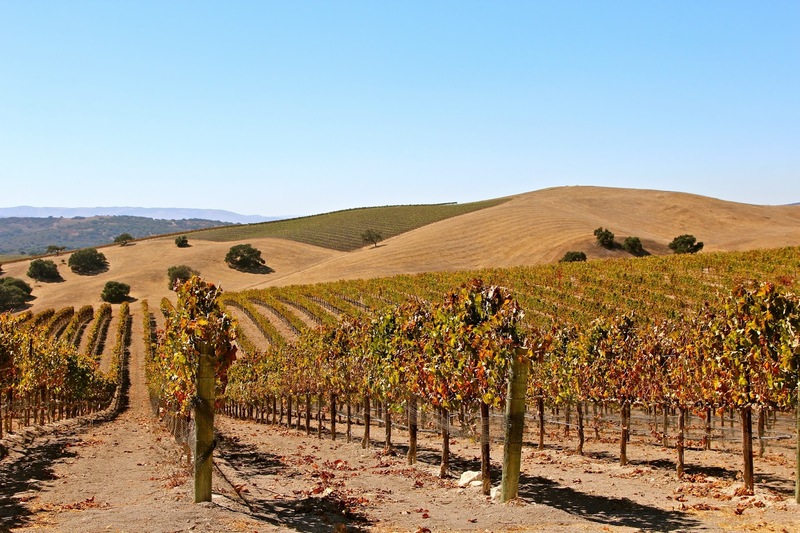 2012 Skinner Vineyards, Estate Grown El Dorado Grenache (about $30) – The Skinner estate plantings sit on a sandy loam saddle, some 2,700-ft. high in El Dorado’s Fair Play AVA. This wine is effusive with bright, high-toned strawberry perfumes, complimented by the slightest herbal underpinnings; its medium body buoyed by fresh acidity, lending mouth-watering sensations. 2013 Skinner Vineyards, El Dorado Grenache ($26) – In this blend of estate and non-estate plantings, the nose projects more forward strawberryish qualities with scrubby, sage-like earth notes; and on the palate, the softness of the varietal, sweetened by restrained French oak, finishing soft, easy, ingratiatingly fresh and savory. 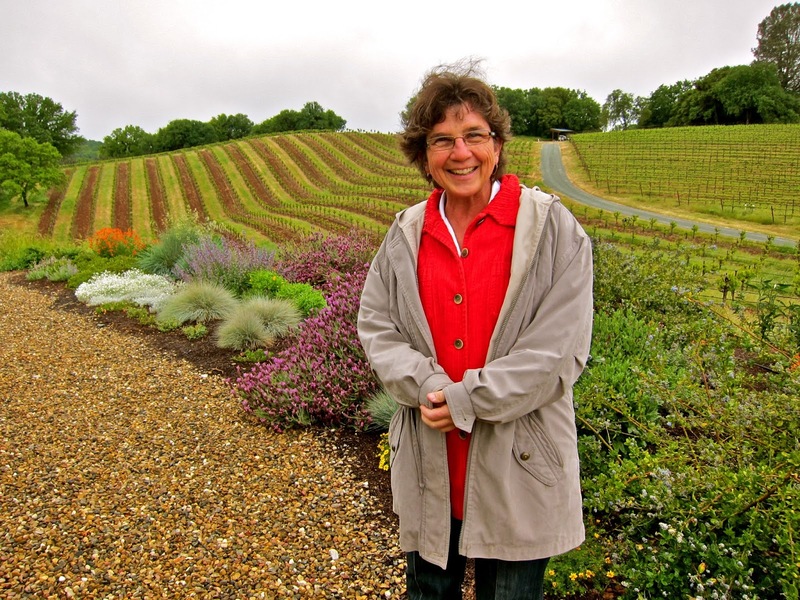 2012 Testa Ranch, Mendocino County Grenache ($30) – Grower/winemaker Maria Martison tends to this hidden treasure of a vineyard that has been in her family since 1912. Employing straightforward, small batch, hand punched macro-bin fermentation, she exacts classically fragrant, flowery red berry/cherry, almost pomegranate-like perfumes and flavors in her Grenache; wrapped in a soft, elongated, easy-going medium body that seem to caress the palate. Everything that we crave in pure (at long last) Grenache! By and large, all of these Grenache bottlings were sourced from vines growing in moderately warm Mediterranean climates. Do not pay attention to yabberings about necessity of “cold climate.” Grenache loves sun, while basking in a fairly wide range of topographies. Where the wines in our tasting differed was in elevation (the Skinner, Baiocchi, Big Basin, Epoch, and A Tribute to Grace's Shake Ridge Ranch and Santa Barbara Highlands Vineyard planted on the highest elevation sites), and soil (higher pH/calcareous soils in the Epoch, Beckmen, Harrison Clarke and Big Basin plantings). These were nice, but wines grown in less alkaline soil on sub-400-ft. sites (i.e. McCay, Bokisch, Testa, Neyers' Rossi Ranch, and A Tribute to Grace's Besson Vineyard) seemed no less complex and attractive. If anything, factors such as winemaking and picking decisions were also significant. For instance, mildly green notes of pyrazine (which I love) indicative of earlier picking – presumably to achieve moderated natural alcohol and crisper acidity – were found in wines as varied as the Bokisch (grown on low-lying hillsides of rocky sandy clay loam), the Skinners (sandy loams at mountain-high altitude), Big Basin (2,200-ft. hillsides with veins of limestone), the Beckmen and Harrison Clarke bottlings (sparse, rocky limestone on hillsides topping out at about 1,200-ft.). In terms of style, Bokisch, A Tribute to Grace, and Testa Ranch all seemed to fall into the lighter, reddish berry perfumed spectrum of the varietal by design – a winemaker’s sense of restraint – despite coming from widely varying regions (Lodi’s Clements Hills, Santa Barbara Highlands, Amador County, Santa Clara, and Inland Mendocino). 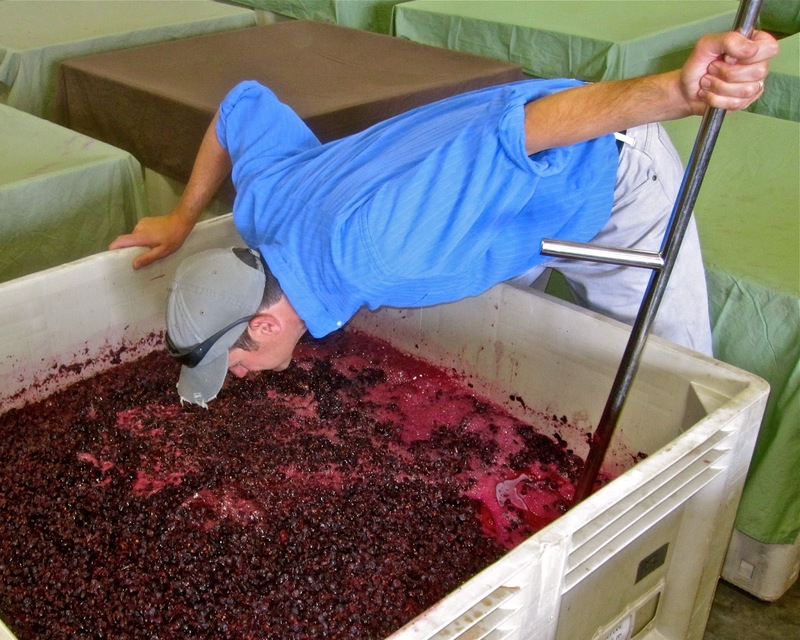 Winemaking always has as much impact as terroir on finished product. 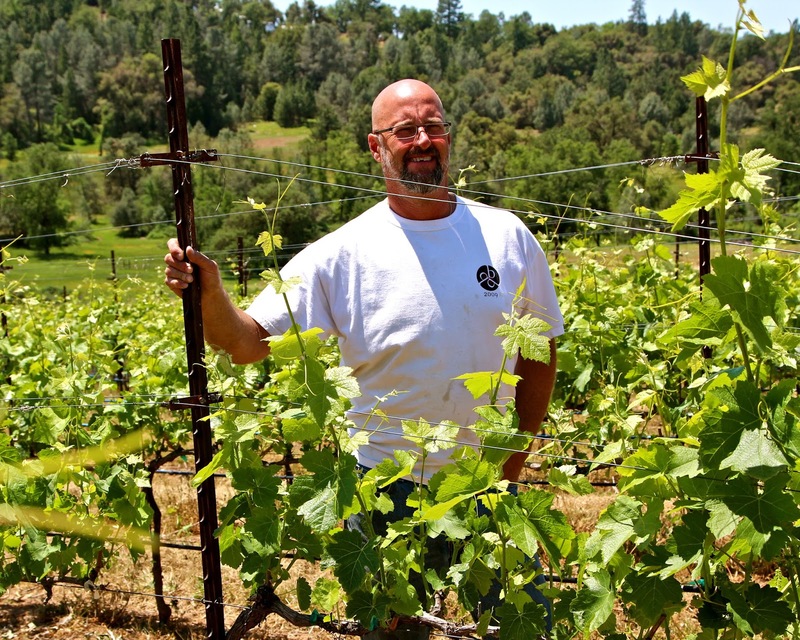 Skinner Vineyards in El Dorado's Fair Play AVA, on elevations reaching 2,700-ft. It is interesting to note that with the exception of the Bokisch and Testa, all the wines were crafted by vintners devoted to native yeast fermentation and other methods associated with minimalist winemaking. This was particularly telling in the comparison of the two Lodi grown wines – the native yeast fermented McCay showing rawer earth and spicy notes, and the inoculated Bokisch focusing on a purer red fruit expression. Yet the wines falling on the fuller bodied end of the scale also varied. The Baiocchi came across as successfully well balanced, while achieving a classic red fruit varietal fragrance, even in a riper, weightier style (alcohol hitting 14.9%). 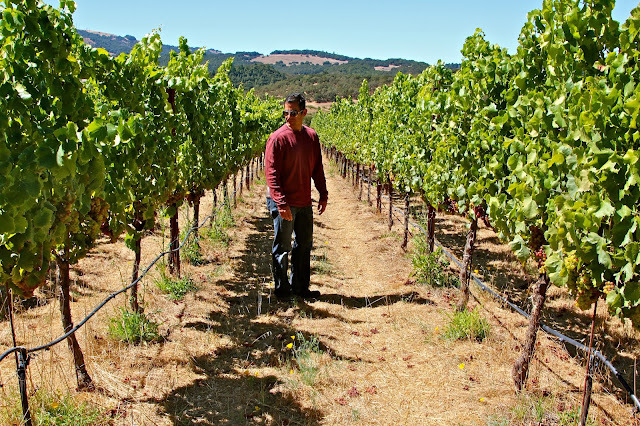 The Neyers was among the fuller bodied wines, while hitting darker fruit notes – no doubt reflective of the classic red volcanic soil of Sonoma Valley. The Epoch was downright thick, as opulent as the Neyers – you could almost feel the sweet kiss of sun on these shallow, rocky, calcareous slopes – and even spicier than the Neyers and Baiocchi. Speaking of which, the spice factor: we found the most intense peppery qualities in the McCay, Harrison Clarkes and Epoch Grenaches. 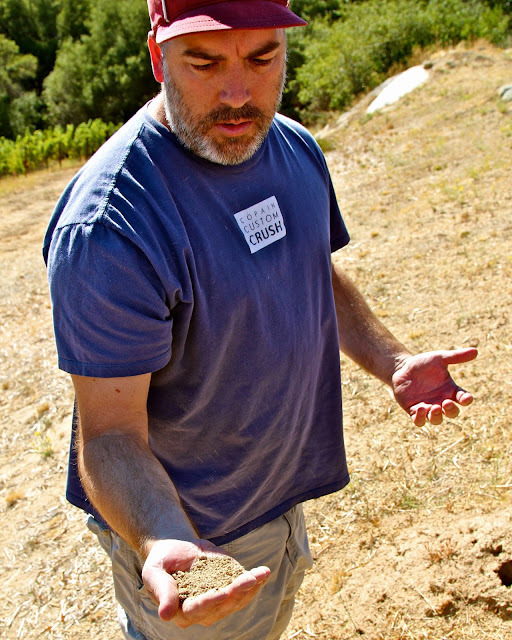 Again, these spice bombs come from a wide range of regions: McCay grown in Lodi’s zero-elevation sandy loam; Harrison Clarke on a gentle slope of finely ground limestone hovering around 1,000-ft.; the Epoch on a steeper, mountainous, craggy site climbing above 1,200-ft. What they do have in common is native yeast fermentation and squarely Mediterranean climate – chew on that. If you enjoy complexity, Grenache is as much your grape as any other. In the hands of crafty winemakers such as the aforementioned, any wine lover with a penchant for classic qualities like elegance and subtlety is bound to be thrilled. I know I am. I am so sorry that somehow we did not get a bottle of our 2012 Grenache, Cuvée R* from the former CDS Estate to you in time for the tasting. (This can be rectified.) I am still of the strong opinion, my friend, that one must find a very special site and as importantly a very special clone (or set of clones) of Grenache to make a successful monocépage Grenache in CA. Many of the modern, "cleaned up" Grenache clones are super-fruitful, and even when they are rigorously shoot and fruit thinned, they do not produce what I call "weapons-grade Grenache," especially if grown on deep, fertile soils. Moreover, I don't think that one is particularly well served growing Grenache in a conventional cordon-trained vine under irrigation. For me the Platonic form of Grenache is a (relatively small) dry-farmed, free-standing, head-trained vine. This is what I am intending to do at Popelouchum, and while the wine that I intend to produce from those grapes will definitely be highly Grenache dominant, it's not inconceivable that some Syrah and Cinsault might also find their way into the blend. Thanks, Randy. A "greatest hits" review of some of my favorite wineries. I recently converted a group of Grenache-doubters to fans while enjoying a couple of very graceful A Tribute to Grace bottlings at Foremost in San Luis Obispo. You gave me a few new producers to seek out for their Grenache. 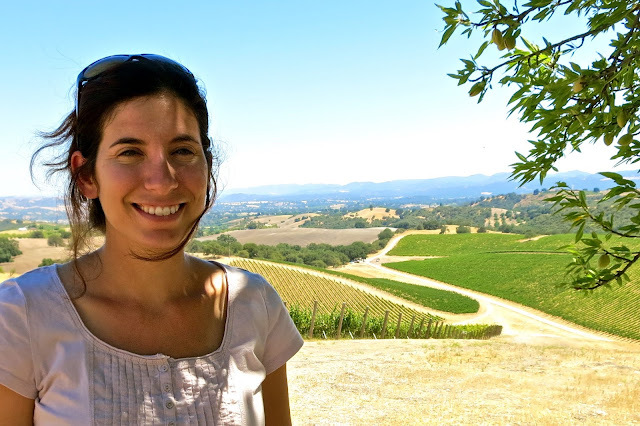 Not to sound like too much of a homer... but I recently proclaimed A Tribute to Grace "the best grenache I have ever had" even though I had said nearly the same thing about a Harrison-Clarke only a few months before. Nicely done and an excellent article. If you haven't already, you should try Tablas Creek's 2012 Grenache. Superb. On the cusp. Bring it. My favorite red wine on the planet. Just stocked up at Beckmen Vineyards last week. As I said on Facebook when I shared this article, it's great to see some love for a variety that I dig so much - and one that I've worked with for quite some time. I do believe that it can make a great stand alone variety IF the sight provides you wonderful starting materials AND you leave the variety alone - do not bathe in new oak whatsoever; probably have some stem inclusion to accentuate the mid-palate; and, probably most importantly, know when to pick the grapes. As others have pointed out, and you did as well, the variety can be made in a myriad of styles - from the light touch such as Angela does with her A Tribute to Grace to the bigger, bolder wines such as those made by Beckmen. The grape is also somewhat of a chameleon, as it grows in somewhat cool to even hot climates, and can make interesting wines in each. To me, though, the grapes tends to strut its stuff in climates that are not too hot, and with soils that do not retain much water. Given the opportunity, the variety will try to throw a huge crop, thus reducing some of the wonderful intensity that the fruit can provide. I do hope to see more grenache selections out there - and a greater understanding of what the variety can bring to the table - a wonderfully aromatic, structured wine that is wonderful on its own, but one that sings will earthy and rustic foods. Thanks, everyone! Larry, I think we all agree that Grenache achieves brighter intensity in well drained or shallow soil of moderate vigor. I think this is the predominant factor, other than farming and clonal selection. Most certainly, slopes and higher pH soil types are also an advantage. I cannot agree, however, that fine Grenache needs climates that are "not too hot." 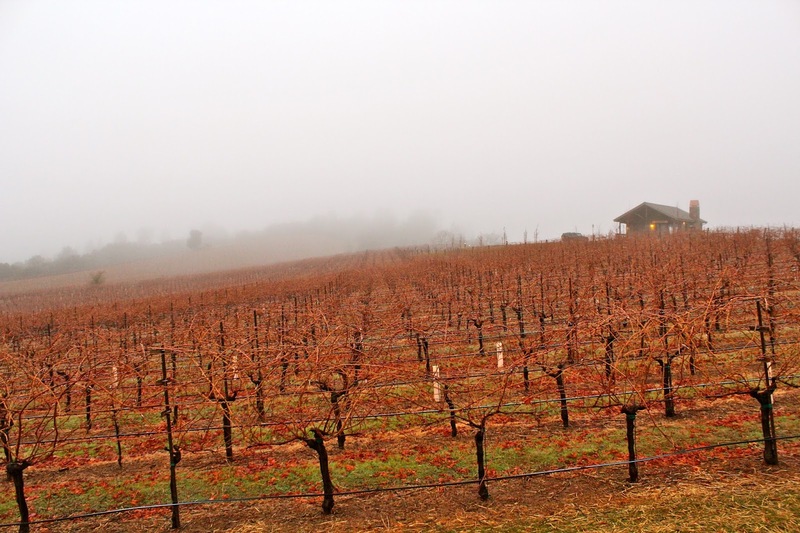 One of the points I wanted to make in this post is that we shouldn't pay attention to the general conceit that "finer" wines are grown in cooler climates (i.e. equivalents to Region I or II). The fact that in this particular tasting, wines grown in the warmest sites (A Tribute to Grace's Amador and Santa Barbara Highland Vineyard bottling, Biocchi and Skinners in El Dorado, Testa in Mendocino, and Bokisch and McCay in Lodi) compared quite favorably is sufficient proof of that. Epoch's Paso Robles bottlings was also extremely interesting, and we all know that there's a heckuva lot sun and heat in the Willow Creek area of Paso Robles. Needless to say, many of the best sites in Southern France and Spain are usually described as "hot climate" regions. We are actually on the same page when it comes to heat - I was not implying that you needed to be in a Region 1 or 2 to achieve 'greatness' in Grenache - in fact, I think the opposite is true. I've had too many grenaches from cooler climate sites where the fruit simply did not ripen enough - and I was left with hoping for more. That said, I do believe that there is a limit to how much heat the fruit can see during the growing season - and if it is too hot, you are left with a greater potential for a more one-dimensional wine. Yep, I know it is hot where some of your favorite wines came from, and yep, I know it is hot where some of the best examples from Spain come from. The question is - is it Central Valley hot? And when you take Mikael's invitation and make it down here to try his 12 different vintages from Tierra Alta Vyd in the Ballard Canyon area, nearly adjacent to Harrison Clarke, hit me up to try my 7 vintages from the Larner Vineyard, on the Southern edge of this same AVA but planted in 100% sand, or my 8 from the Watch Hill Vineyard up in the Los Alamos area . . .
And one last comment for now . . . . I do hope that you gave each of these wines plenty of air and time to open up. I find that one of the beauties of grenache can be its 'shyness' - and that you need to coax it to come out of its shell slowly, over a period of time. It may show some of itself with a pop and pour, but the nuances take time to develop - and patience is required. Larry, I'm glad we agree, and thanks again for your comments. 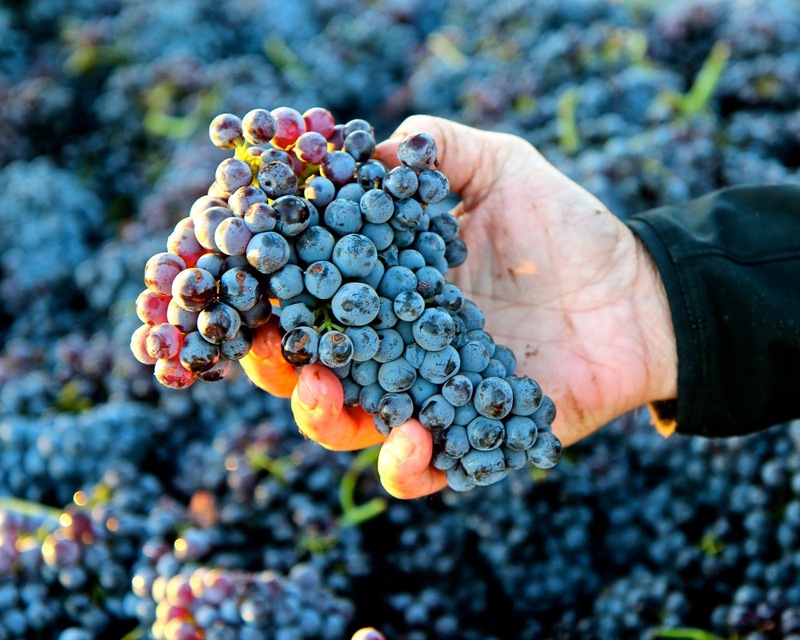 I do want to add, though, that the reason I'm harping on the point that it is easy to over-emphasize climate in discussions of grapes like Grenache is because consumers, and much of the media, are easily misled. They think warm or even "hot" climate (i.e. in a sense that Ballard Canyon and the Sierra Foothills are relatively "hot" compared to, say, Burgundy and much of Sonoma Coast) is a negative. Now we are reading in the New York Times about how much of California's grapes are grown in the "wrong" places, because everyone knows that the best wines are grown in cooler climates and that the "best" wines are always below 13% alcohol. What does that make places like Ballard Canyon, Happy Canyon, the Sierra Foothills, Lodi, Paso Robles or Inland Mendocino -- chop liver? So what if A Tribute to Grace Grenache hits 14.5% alcohol? -- it's still refined and graceful. These are the kind of errant implications we should avoid perpetuating. Point being, the climate of the entire West Coast between Mendocino and San Diego is classified as Mediterranean. But Larner, Beckmen, Harrison and Clarke, Skinner, Epoch, et al. did not choose to plant in their particular spots because of climate. 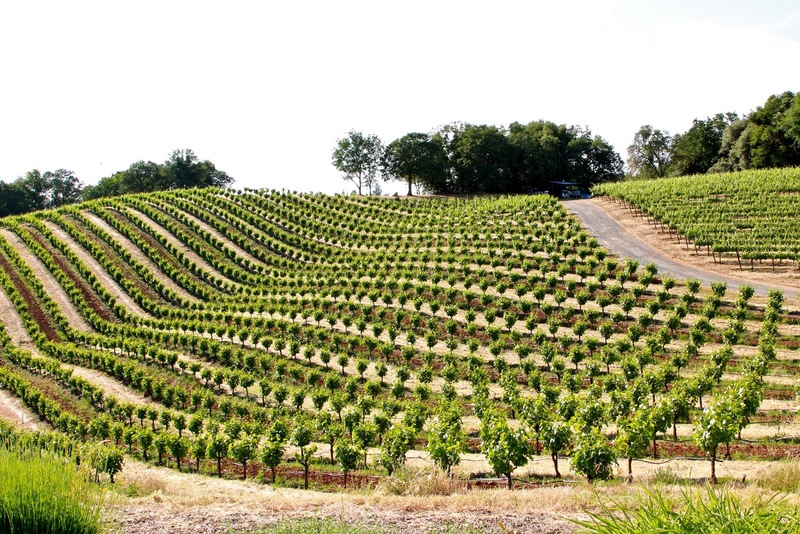 They chose their spots because of favorable soil and topography. If anything, that's what makes the difference, not so much climate. Viticultural and winemaking savvy also play a part. You and I know quality winegrowing is a little more complicated than easy climatic classifications. Good points indeed. And yes, there need to be plenty of 'counter-arguments' to those who believe any wine over 14% is 'out of balance' and 'an abomination'. It's quite easy to get dogmatic when discussing wines, but it is, most of the time, wrong to do so. There are so few absolutes in our industry, and those with open minds will continue to see that - and hopefully embrace it as well. 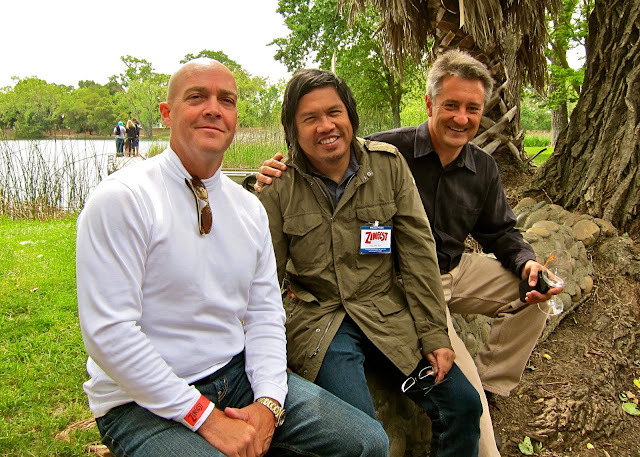 I will say that I would not put Ballard Canyon into the same 'sentence' as Lodi as it applies to climate - just saying . . .
We may very well see extreme coastal places moving towards varieties such as Grenache as global warming continues - but not now. It just doesn't make a pretty enough wine IMHO. Thanks for this great article! I feel like I learned so much. I have wanted to love Grenache for a while now, but haven't stumbled across many that have done that much for me. (I also don't get out much... so, there's that...) Really looking forward to seeking out as many as I can. Fabulous to see some Shake Ridge grapes mentioned here, as I'm in Amador. How lucky are we to have Ann Kraemer in this county! Agreed, Indigo, Shake Ridge is really shaking the wine world up! Grenache is now my favorite grape.” “Nothing is better than a good Grenache.” God, I love Grenache.
. Wonderful blog. Really eager for read through more. I liked your own post. Much obliged. It is just one wonderful weblog article. Your justified thoughts did a great job of inspiring avid writers.